An Atlanta attorney who fatally shot his wife coveted her money and killed her intentionally, a prosecutor argued Tuesday. A lawyer for Claud "Tex" McIver said that isn't true; McIver adored his spouse and the case against him is an "accident in search of a motive." Jurors who listened to testimony from dozens of witnesses over about a month heard closing arguments from the lawyers and prepared themselves to receive the case for deliberation. The case, involving a wealthy couple who were influential in the Atlanta area, has drawn widespread attention. Tex McIver, 75, was a partner at a prominent law firm and served on the state election board. Diane McIver, 64, was president of U.S. Enterprises Inc., the parent company of Corey Airport Services, where she had worked for 43 years. Prosecutors have said McIver depended on his wife financially and feared losing control and his lifestyle. Defense attorneys have argued that Diane McIver was more beneficial to him while she was alive. Dani Jo Carter, a close friend of Diane McIver, was driving the couple's Ford Expedition on the evening of Sept. 25, 2016, as the three returned from a weekend at the McIvers' horse farm in Putnam County, about 75 miles (120 kilometers) east of Atlanta. Diane McIver was in the front passenger seat and Tex McIver was in the back seat behind his wife. With traffic heavy on the interstate, Carter exited in downtown Atlanta. 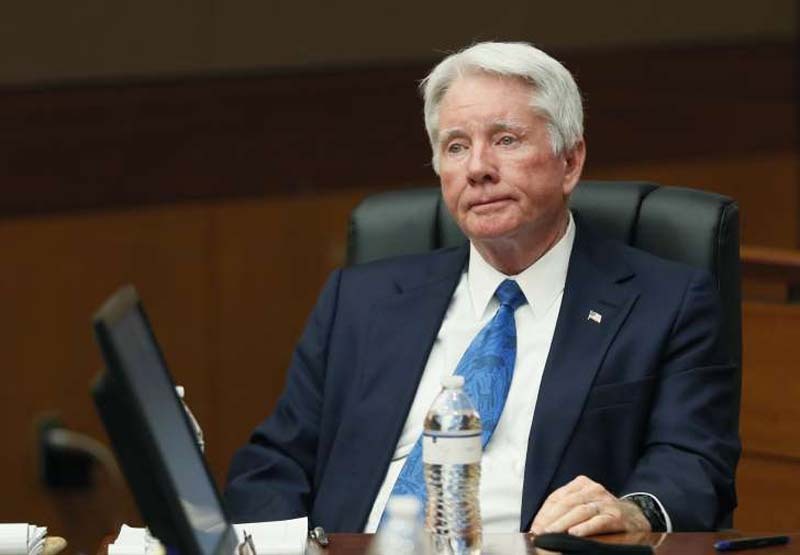 Concerned about the area where they exited, Tex McIver asked his wife to hand him a gun that was in the car's console. Bill Crane, a McIver family friend acting as a spokesman, told news outlets several days after the shooting that when the SUV was approached by people at an intersection, the McIvers were nervous about unrest surrounding Black Lives Matter protests and feared a carjacking. A short while later, McIver fired the gun, hitting his wife in the back. Carter drove to Emory University Hospital, where Diane McIver died.